Note: This is the first in a series of posts about the National Collegiate Honors Council (NCHC) annual conference next week in Boston. We will be there, interviewing and reporting on the most interesting sessions and presentations, including those by students. Almost 2,000 faculty members and students will be in Boston next week to attend the annual conference of the National Collegiate Honors Council (NCHC), where in hundreds of sessions and presentations the value of honors education in our nation’s colleges will be on display. At least 560 institutions, public and private, will be represented at the conference, which is being held at the Sheraton Boston Hotel. Honors colleges and programs are transforming American higher education by offering talented students genuine alternatives to the most expensive elite universities. By emphasizing small classes, honors residence communities, and innovative curricula that are often proving grounds for the best in undergraduate teaching, honors colleges and programs are challenging the higher education system to remain committed to excellence despite demands from those who would emphasize quantity over quality. The conference theme is “Challenging Structures,” especially those that militate against excellence in undergraduate education. “We maintain that honors education represents a challenge to the structure of undergraduate instruction,” said Rick Scott, incoming president of the NCHC. “Our gathering in Boston will celebrate teaching, learning, and the honors community.” Dr. Scott is Dean of the Honors College at the University of Central Arkansas. The featured speaker will be Harvard Professor Michael Sandel, whose famous “Justice” course has long been a favorite among undergraduates. His thoughts on morality and justice in political life are often contrasted with those of the eminent philosopher John Rawls. 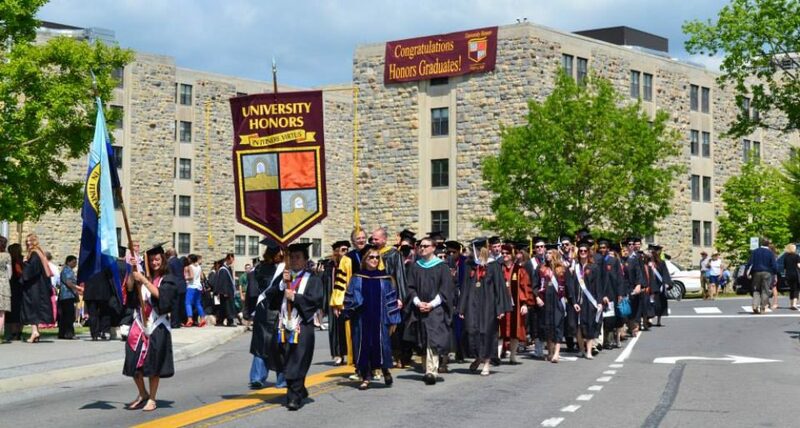 In a world where parents and prospective students are searching for ways to add value to their increasingly expensive college choices, honors programs are the most powerful engine for providing the highest level of undergraduate education within institutions whose overall reputation may not rise to the level of the most elite private schools—and almost always at a much lower cost. Honors colleges and programs have been a part of the higher education world for decades, but only in the last 20 years or so have public and private institutions turned to honors programs in order to attract and serve the nation’s most talented students. The NCHC alone has approximately 875 member institutions, ranging from two-year community colleges to leading public universities such as Arizona, Arizona State, Arkansas, Auburn, Colorado, Colorado State, Connecticut, Delaware, Georgia, Georgia Tech, Iowa, Iowa State, LSU, Massachusetts Amherst, Miami of Ohio, Mississippi, Mississippi State, Missouri, Nebraska, North Carolina at Chapel Hill, NC State, Ohio University, Oklahoma, Oklahoma State, Oregon, Oregon State, Pitt, Rutgers, South Carolina, Tennessee, Texas A&M, UC Irvine, UCLA, U.S. Air Force Academy, Vermont, Virginia Tech, Washington, and Washington State. Private universities include American, Baylor, Denver, DePaul, Drake, Drexel, Elon, Embry-Riddle, Fordham, George Washington, Ithaca, LaSalle, Marquette, Miami, Northeastern, Rochester Institute, Seton Hall, Siena, SMU, TCU, Tulsa, Union College, and Villanova.